There’s no question that life can be tough. From financial worries and work stress, to more simple things like traffic – there’s so much for the modern Australian to worry about. It’s no wonder that 35 per cent of respondents to the most recent Australian Psychological Society’s Stress and Wellbeing survey said they had a significant amount of stress in their lives. When living the high-paced lifestyles that so many of us do, it’s important that when you come home all the stress and tension falls away and you feel instantly relaxed. To get you started making your home a calming place to be, here are our top tips for transforming your home into a bastion of relaxation. 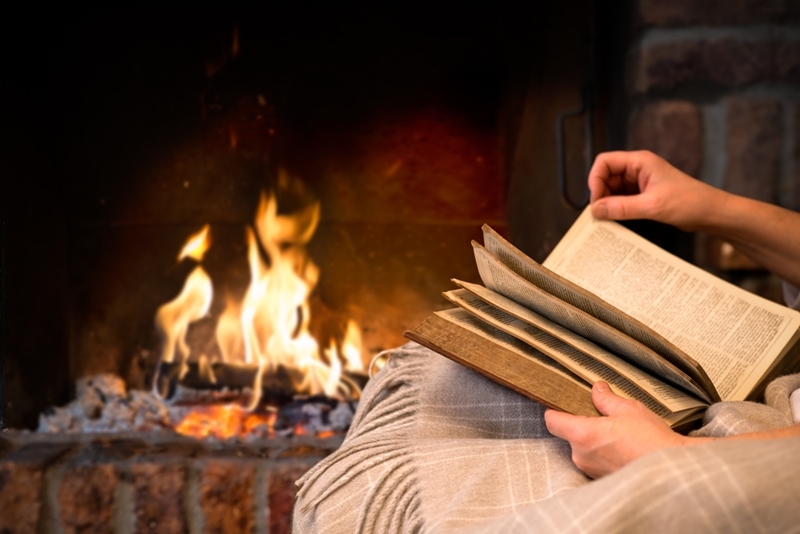 Winter’s coming, giving you the perfect excuse to curl up with a book or to enjoy a lengthy Netflix binge. Make the most of this relaxation time by setting the scene with ultra-cozy decor and accessories, from soft throws draped over every couch, to knitted ottomans perfect for putting your feet up after a day at work. Set the mood at night by incorporating candles into your decor, or even installing a luxurious gas fire. Little touches can make your home a far more relaxing place to be. Kids toys litter the living room and last night’s clothes are still on the floor of your bedroom. This is a scene that so many come home to everyday – one that’s not at all conducive to relaxation, but can be quickly fixed by decluttering. 1. Don’t organise all at once: go room by room. 2. Be ruthless and get rid of or sell everything you don’t need. 3. Make a place for every item in your home and endeavour to always put it back there after use. Include lush ferns, hanging plants and peace lilies in your home’s decor to add a splash of relaxing greenery. During winter we don’t see as much sunlight or colourful plant life – things that often contribute to a sense of calm. Fix this by maximising the amount of natural light in your home by always leaving blinds open and trimming plants back from windows. We spend hours every day looking at screens. Several Harvard studies say that looking at screens late at night can disrupt your circadian rhythm, leading to decreased quality of sleep and countless other health problems. Solve this problem by making your bedroom a tech-free zone. Leave your phone at the door, move the TV back into the lounge and you may sleep better than you ever have.